I should use fake tan, but I don't. To put it bluntly, I'm just lazy. Plus, the fear of either looking like an orange or making the tan streak puts me off. I am quite blessed with my skin colour (not saying that there's anything wrong with being pale!) which is why I don't feel the need to fake tan often, but the couple of times that I have properly looked pretty nice.. The only fake tan I've used in the past (on a regular basis that is) is gradual tanning lotion, such as Johnson's Holiday Skin Body Lotion and Clinique's Self Sun Body Daily Moisturiser. 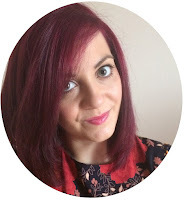 I stopped using those products a while ago though, and wanted to try something different now that winter is back! 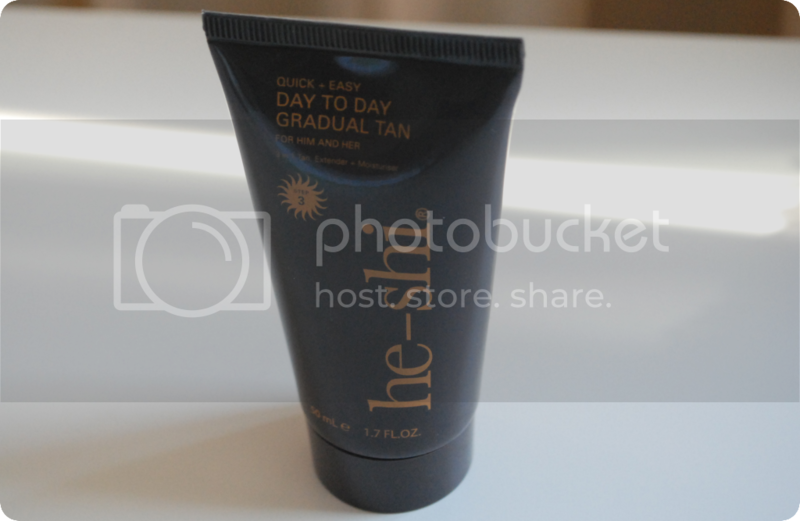 He-Shi's Day-To-Day Gradual Tan Lotion is a lovely product. It's very moisturising and sinks into your skin very easily and quickly. It doesn't feel oily, and it's not too thick so it spreads across your skin quite a lot, so you don't need to use a great amount to apply it evenly. It doesn't really smell of anything overpowering, it's quite subtle which is nice. A lot more pleasant than most fake tans! And it definitely doesn't have a biscuity scent like usual either, which was a definite plus. The coverage is pretty even, although I have had a moment of streakyness! I think it was my fault though as I was in a rush to apply it, and luckily it was only on my feet. Yes, it looked like I hadn't washed my feet for days (ew) but I learnt my lesson. Don't underestimate the coverage of this product! It proved just how much it works - it's stronger than the effect Johnsons gives, which I like as it would act as a great alternative between gradual lotion and actual fake tan. Overall, apart from my application mishap, I really like this product! I think it'll be great to add a bit of tan onto your skin, whilst making sure your body stays moisturised during the winter months. You can buy it here for £14.50 - whether it's worth that amount of money, I'm not too sure, but I only say that because I'm no expert in this field. I don't have much to compare it to! I probably would purchase it though if I knew I would use it everyday without fail. It beats Johnsons in my opinion, so that already makes it worth spending a bit more money on this. Have you used He-Shi before? What gradual tanning lotion do you recommend? Are you a gradual or fake tanner? Great Blog, well described. We love He-Shi, it's an excellent product and we've got some excellent deals on he-shi products at the moment too.